More than a decade later, reengineering has petered out, and the buzz has moved to e-commerce, CRM and awful mutations like eCRM. However, out in the trenches, it appears that bankers are ready to take another hard look at their processes and learn from the past. Sin #2: Check the score! Many reengineering efforts were torpedoed by managers unwilling to sign up for specific measurable goals. 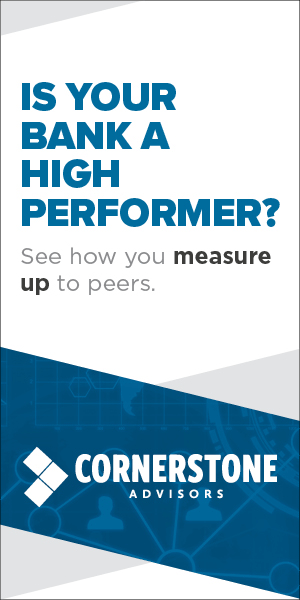 Our firm spends a lot of time surveying and researching peer productivity metrics for the banking industry. Oftentimes, we meet functional managers who wish we and our dumb benchmarks would just go away. It’s a real litmus test for CEOs: which managers are willing to commit to measurable goals based on peer data and which managers prefer to use rhetoric to describe their “success” with no evidence to back it up. In the first reengineering wave, the industry drowned itself in rhetoric. The first round of reengineering resulted in a stalemate between the big picture and the operational details. Big picture folks had grand aspirations and cool PowerPoint presentations but no deep understanding of the complex processes within a bank. Bank operational managers had all the deep process knowledge, but lacked either the authority or the desire to shake things up. Any projects that succeeded were usually initiated by a creative middle manager who had the desire to run for daylight and somehow found an opening. Successful banks won’t try to reinvent major functions with 90-day revolutions. They’ll define their goal in plain English, leverage middle management knowledge, and figure out practical ways to use technology. The intranet will be the glue that will hold future reengineering efforts together. Even today, our clients are cobbling together all kinds of creative stuff through their intranets. Not just the employee phone book! We’re starting to see database-driven forms, browser-based reports and extensive online resources for the front line. For the next few years, inelegant, homegrown intranet apps will be competing with the packaged software market. Our most productive clients are typically fanatics about measurement. A good consumer loan manager can tell you how many loans per underwriter were booked last month and what percentage were credit scored. A good commercial loan manager can spout off the average portfolio per loan officer and their current loan/deposit production. With real accountabilities, a two-page benchmarking scorecard with 20-30 key measurements can change the culture of a bank. Always look for improvements that can be finished without requiring new systems. Banks who successfully reengineer will not look to management books, technology vendors or consultants to make it happen. Instead, they will look for those rare stars in middle management who get stuff done. I like to refer to these folks as “process hackers.” Process hackers are great at identifying stupid things in an organization and figuring out ways to fix them. They avoid buzzwords, value utility over elegance and can make just about any technology, no matter how old or ugly, work for them. Today, process hackers are the gurus of Excel spreadsheets, ASCII downloads and aging report writers. In the future, they will be the gurus of intranet forms, SQL databases and XML interfaces. Successful banks in the future will increase their ranks of process hackers from a few to several dozen.